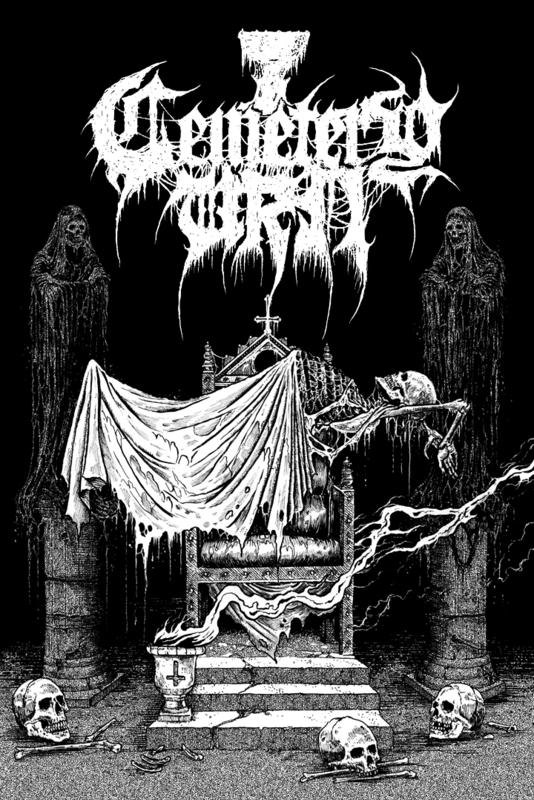 Album cover and additional illustrations for the upcoming CEMETERY URN (Australia) full-length, scheduled for release later this year by Hell’s Headbangers. 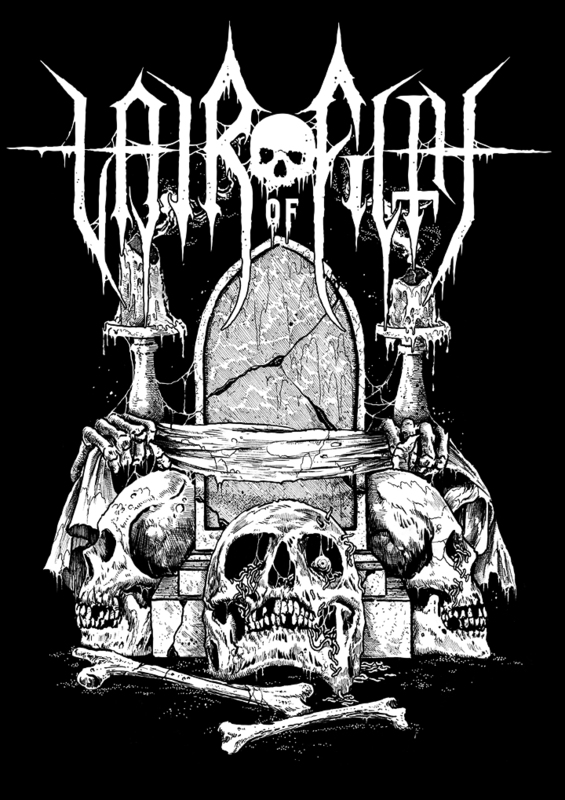 Illustration and interview feature for THE LAIR OF FILTH webzine. 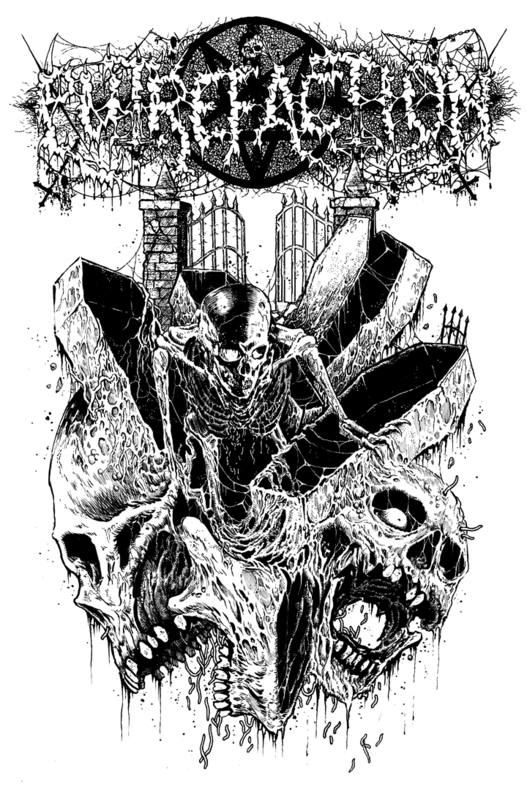 I’m very pleased to share this T-Shirt illustration for PUTREFACTION Magazine (Sweden). 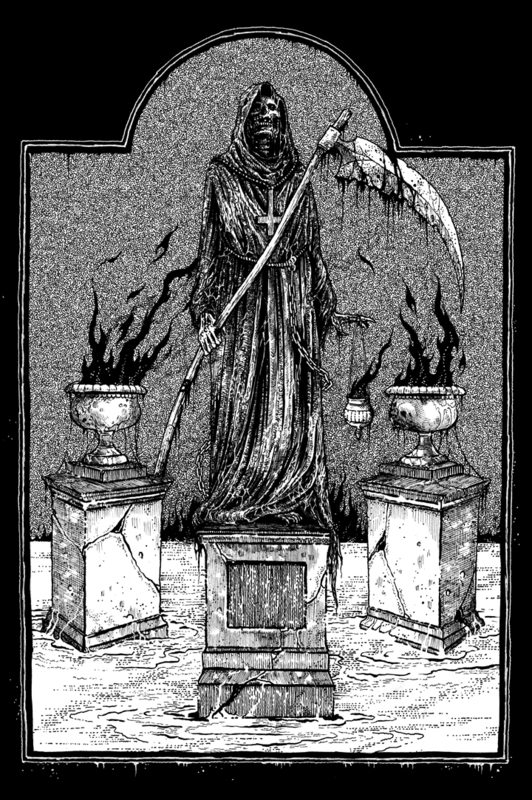 PUTREFACTION was the first underground fanzine I ever purchased—back in 1991—and was my introduction to the broader underground metal scene. 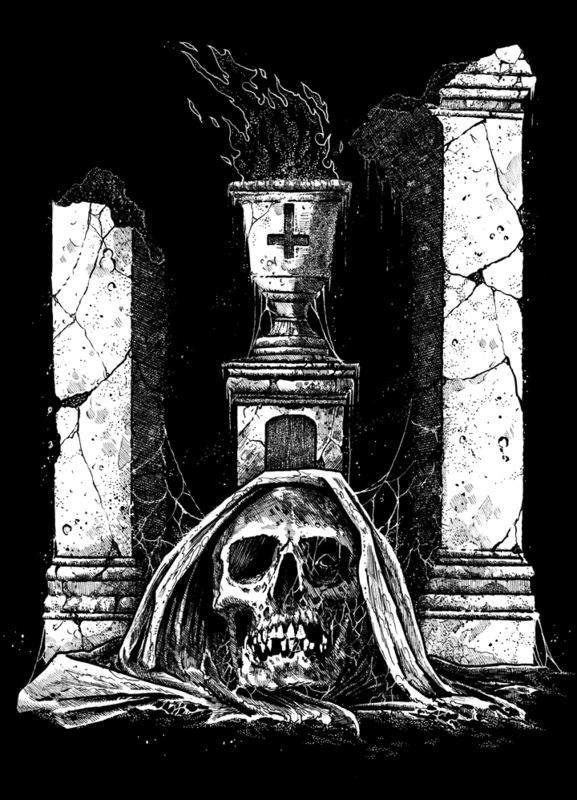 Illustration for INFERI (USA). Their new album, “Revenant,” is available for pre-order from The Artisan Era (USA). 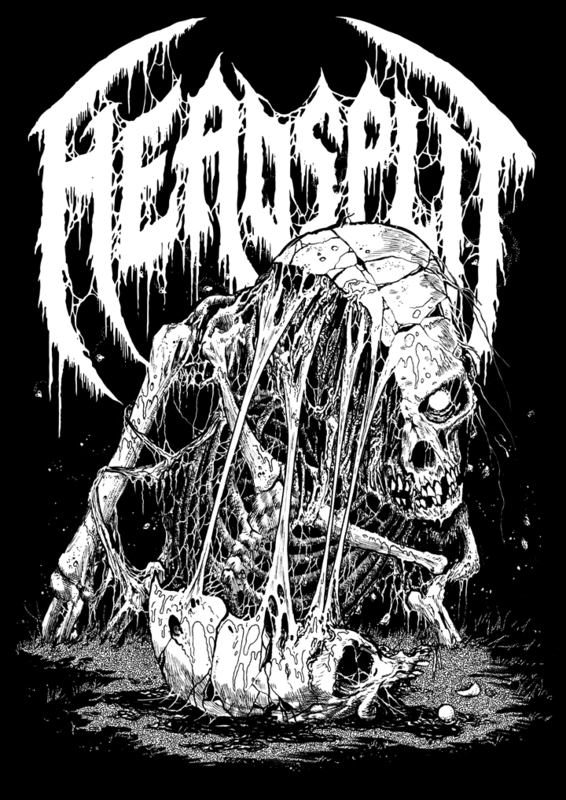 Illustration for HEADSPLIT Records (USA).